To attract more organic traffic, you need a sound SEO strategy. 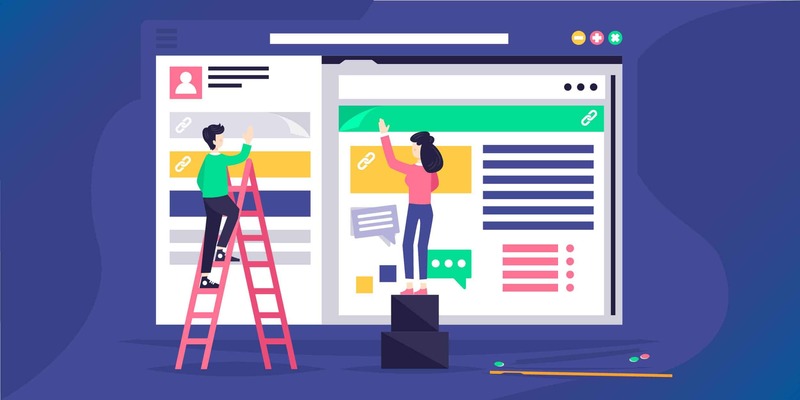 However, in putting together your SEO toolbox, it’s easy to overlook simple yet effective practices that draw visitors to your site – and keep them around. Inner links fall into this category. They are often neglected by bloggers and site owners, who fail to appreciate their true value. In this #guide, you will learn how #inner #links work, and how to use them. Inner links, also known as internal links, are used to point the visitor at another page on the same domain. For example, suppose you run a blog covering graphic design topics. If you were to write a blog post about designing logos for small businesses, you might wish to include a link to a portfolio page with relevant samples of your work. How do inner links affect your Google ranking? When Google’s crawler indexes a website, it automatically follows its link paths. For example, it automatically calculates how different categories of blog posts are linked to one another. The more consistent and frequent your internal links, the more likely it is that the crawler will be able to locate and index your content. Google does not crawl your site once. It looks for new content on a regular basis, using both bots that re-index websites every couple of days, and bots that re-index all pages every month. If you bridge pieces of content with appropriate internal links, the crawling process becomes more efficient, and your site will be indexed faster. As a result, your ranking receives a boost. As a simple rule of thumb, remember that if the crawler cannot access a page from the homepage via a crawlable link, it may as well not exist. How do inner links drive visitor engagement? Assuming that your content is well written, it will encourage your readers to learn more about a topic. If you have created additional content on related subjects, inner links are an effective way to signpost them in the right direction. By making it easy for your visitors to enjoy plenty of valuable content, you make it much more likely that they will return to your site, share your work, and begin to view you as an authority. 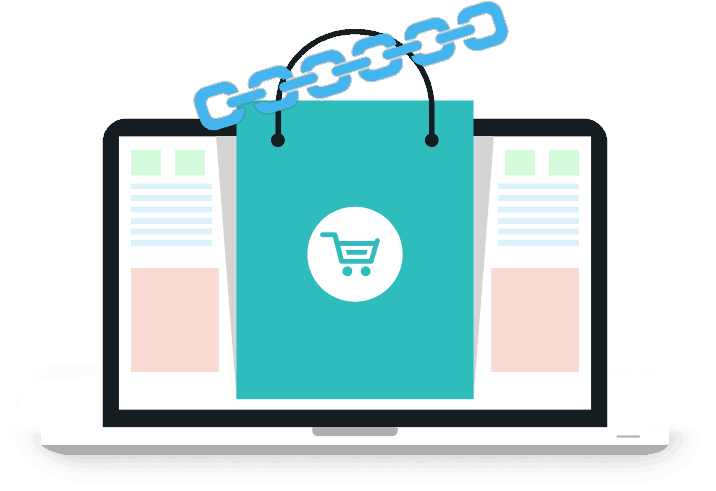 If you are selling a product or service, inner links can move a potential customer a little further through the sales funnel by promoting awareness of your business. Avoid generic anchor text such as “Click here to read more,” or “You can check out my guide here.” Instead, use highly specific text that blends in with the surrounding content in a natural manner. Use anchor text that incorporates keywords you want to rank for in search engines. Do not use anchor text that perfectly matches a link target. This is because Google recognizes this strategy as deliberate, and will penalize your site accordingly. Another useful point to bear in mind is that when multiple links on a webpage point to the same URL, crawlers will pay attention to the first anchor. Position your best keywords accordingly. Ideally, your homepage should contain as few links as possible to other parts of your website. 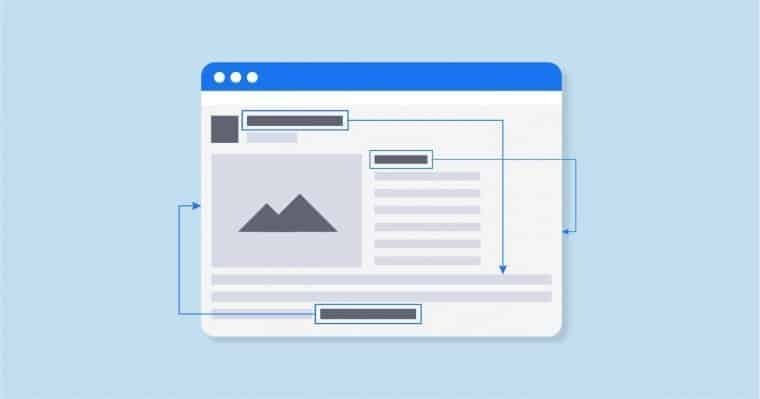 The shorter the path from your homepage to all other pages, the more link equity – also known as “ranking power” – will be distributed across the entire site. This means that every page receives a boost in terms of ranking potential. Crawlers find regular HTML links easier to parse. You should also bear in mind that embedding links in applets and plug-ins effectively render them hidden. When crawlers explore your site, they will not submit any forms. Therefore, if you want Google to recognize a link, do not set up your site in such a way that a visitor can only access it upon completing a survey or submitting other information. Just as crawlers do not fill in and submit forms on a website, they will not take advantage of search boxes and bars in the same way a human visitor might. If you want Google to index a piece of content, you must make it easy to find. Crawlers will not follow more than around 150 links, so resist the urge to stuff pages full of internal links. Marketing expert Neil Patel recommends using inner links to revitalize old pages. When your readers follow links to old content, Google registers it as significant and ranks it accordingly. This strategy also works in reverse. Go back through previous content and add in a few inner links. Google crawlers review posts when they receive an update. As you do so, consider your users’ experience. Don’t just add links for the sake of it; think carefully about the relationship between your old content and recent work. Make sure there is a sense of natural flow between ideas and posts. If you discover that visitors frequently arrive at a page but then fail to follow a call to action, use inner linking to send them to an alternative page with a better track record. Banners and links are particularly effective. Is your content strong enough? Bear in mind that these techniques will work only if you publish outstanding content. It doesn’t matter how strong your site’s architecture if your content is uninteresting; no one will stick around to read more than a few lines. If you target audiences in multiple countries, use only content that has been perfectly translated to the local language. In conclusion, you cannot afford to overlook inner linking as an SEO strategy and engagement tool. If you have a lot of content on your site, the prospect of adding links within each page or post will be daunting. Don’t worry. You can still start reaping the benefits by adding a few links to your most popular pages. Not only will your site’s Google ranking improve, but your site will soon gain a reputation as a valuable resource. Published on January 19, 2019 by Erica Sunarjo. Filed under: inner links, link building, seo. Erica Sunarjo graduated from South Texas College majoring in Marketing and Creative Writing. She used her knowledge to make a difference in the realm of business copywriting and invested heavily in traveling and language learning. She keeps track of the latest trends in IT and technologies, blogs about efficient strategies in education and business coaching, holds educational webinars. Right now Erica is the most effective writer at The Word Point.